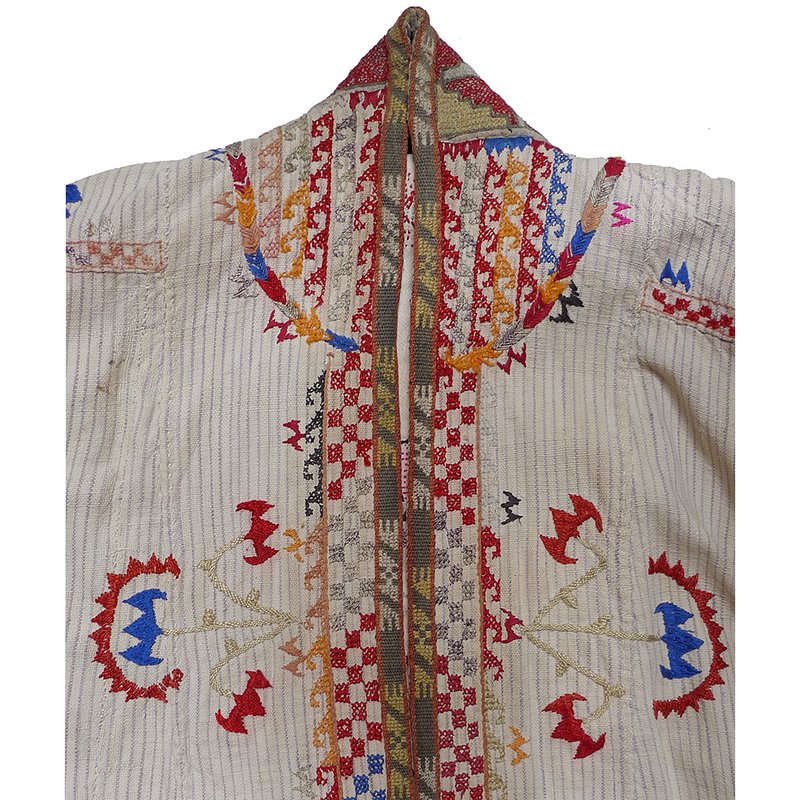 While similar in appearance to a woman’s paranja, a jelak was much shorter and never meant to conceal. 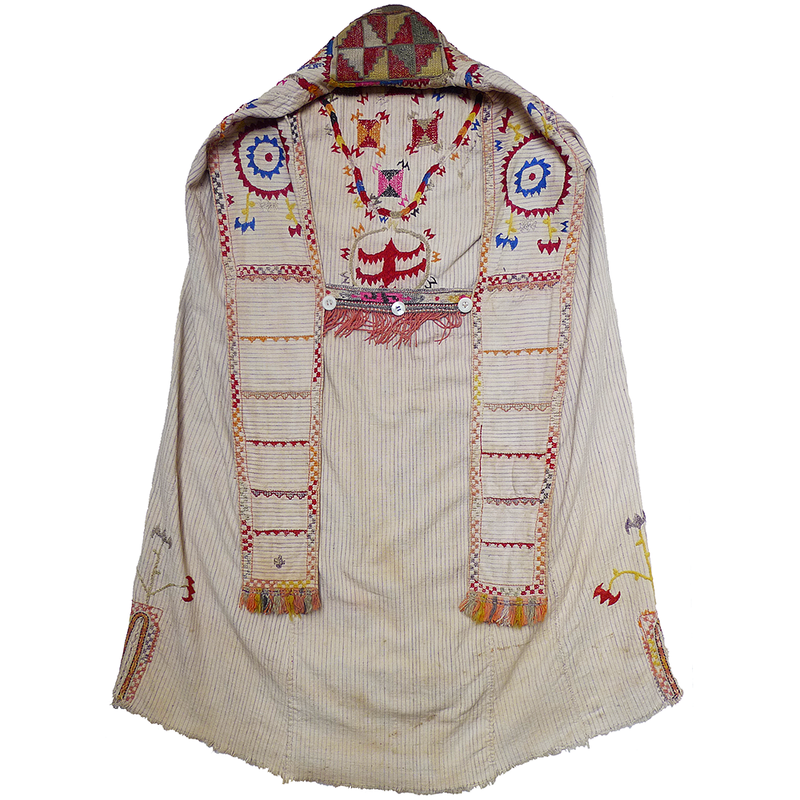 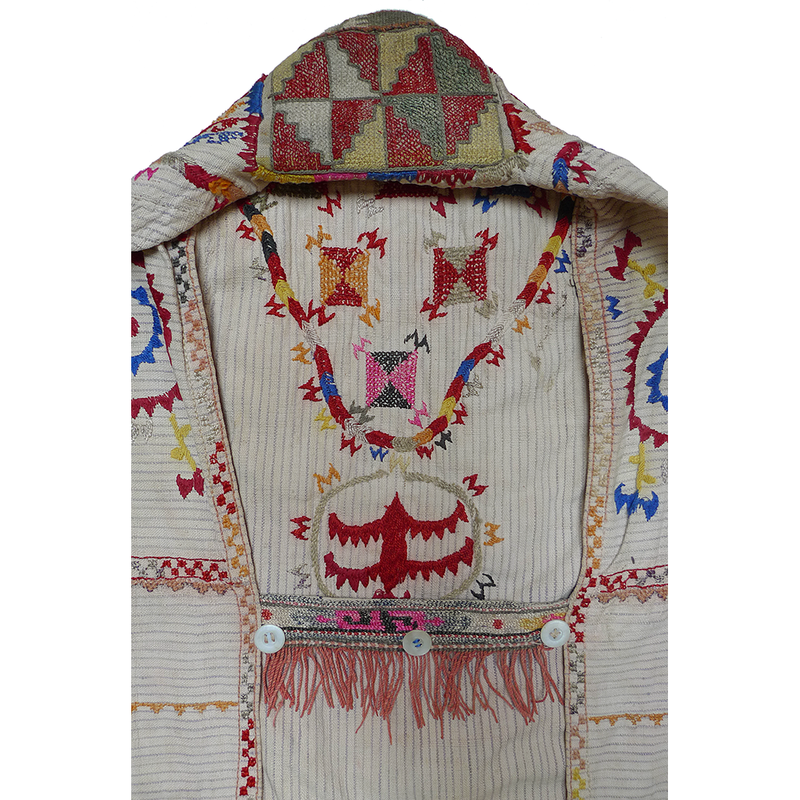 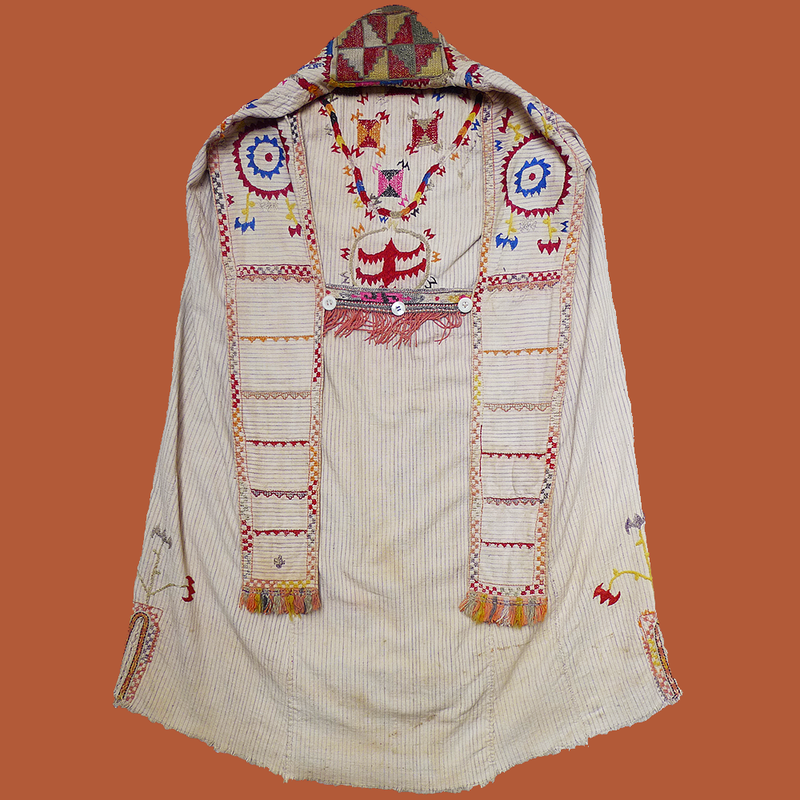 It was worn on top of a rural woman’s headdress and draped like a shawl over the head and shoulders, with the false sleeves hanging in back (see first and third photos). 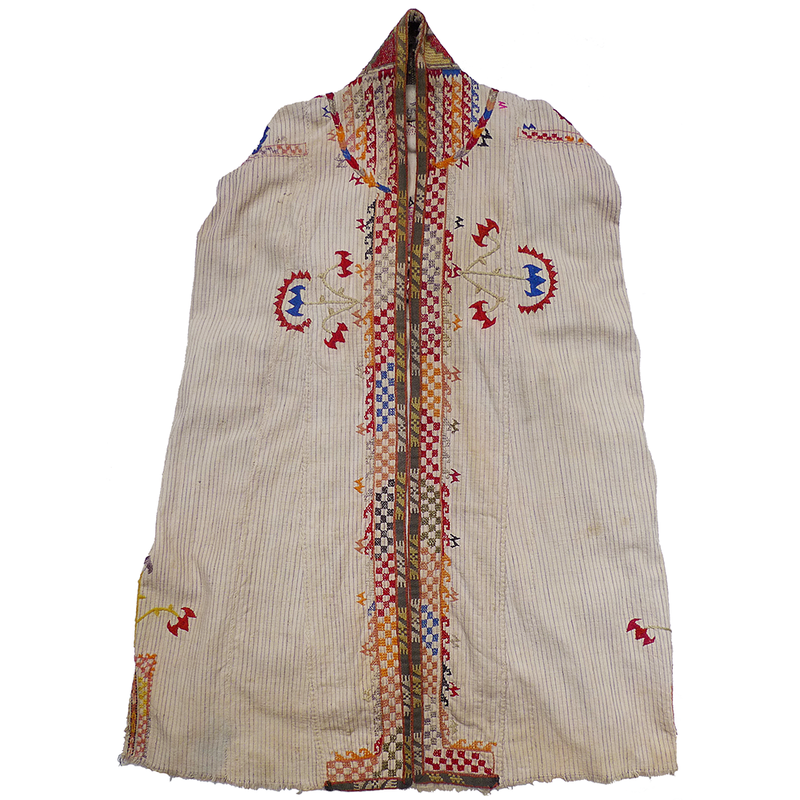 The hem was deliberately left unfinished in the belief that by so doing a woman could bear many children. 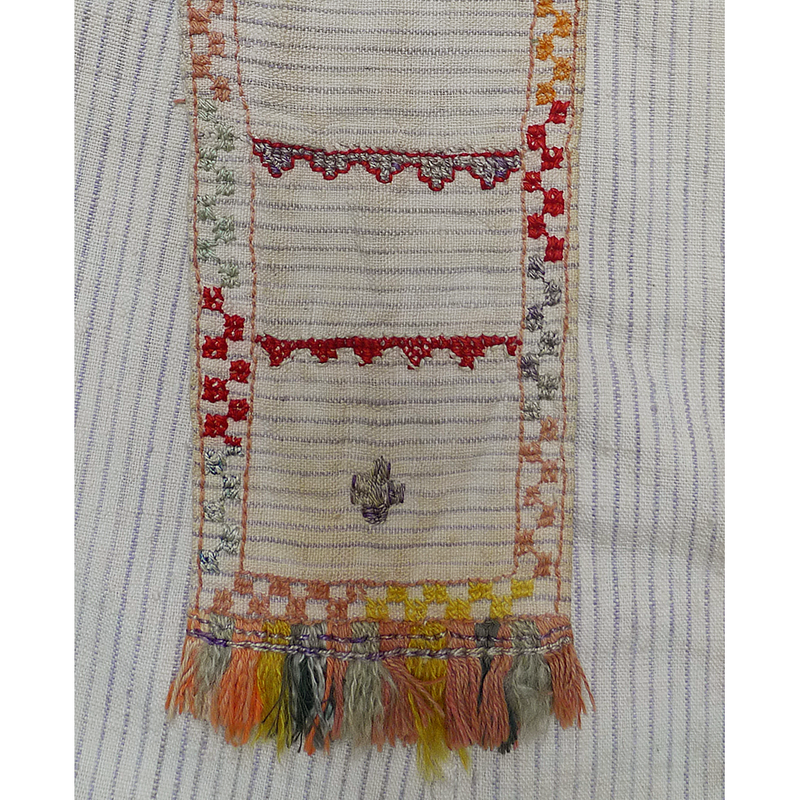 If you are interested in this jelak and would like more information please contact Susan Meller.